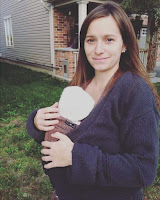 While I was pregnant with Little Miss, I was consumed with finding the perfect "squish wrap". Beautiful, thin, soft and comfortable were my requirements. This led me to purchase Didymos Kupfer Indio in a size 6, which was described as incredibly soft. It had quite a journey from Russia to my house, and it arrived on the same day as a vintage size 1 black and white indio, so it was quite the exciting mail day! Though it had been lovingly handwashed and well cared for, a previous owner had used a strong scented detergent on this lovely wrap, which took several handwashes for me to feel comfortable with the scent so close to me. The black dye ran a bit in the tub while washing, which made me wonder how many times in its previous 6 years this wrap had been washed, but not enough to stain anything. 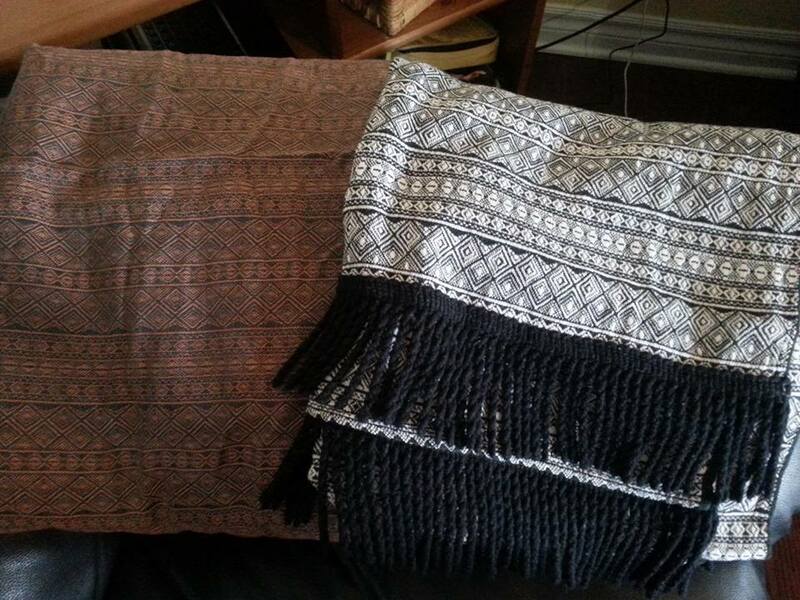 Once dry, I was able to say that this was the softest wrap I have ever felt. It was so thin it felt like tissue paper, and the colours were so rich and classy. It is a very difficult colour to capture on camera, so I've included a stock photo to show you how awesome it actually looks in case my photos do not do it justice. When Little Miss arrived I took her on her first walk down the road in this wrap on a windy day. She was so snug and cozy. It had very little grip or texture for an indio, making the passes slide easily. The knot was so teeny tiny small because of the thinness of the wrap. However, this wrap is deceptively strong for how thin it is, it never felt saggy or uncomfortable. It always wrapped like the most delicious stretchy wrap, snug and easy to tighten. It is absolutely perfect for a small baby, and it brought a smile to my face to have it in Little Miss' early days. When we outgrew it, we sold it locally to another mama who wrapped her squish in it too, and I imagine it will wrap many teeny babies in the years to come. Pros: Soft, so soft. Thin and ace bandage-y. Glides in place easily. 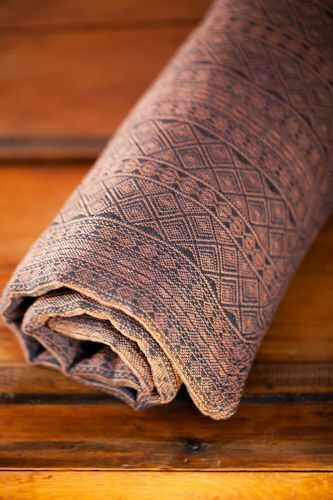 Recommendation: A luxurious first ride for teeny babies, this is a beautiful piece of Didymos history that I encourage you to try with a squish, or to wear as the most delicious scarf.